We’re working to permanently protect 113 river miles and nearly 35,000 acres of riverside land in Washington’s upper Nooksack River system as Wild and Scenic. Join us for a visual journey of this amazing river and then take action to help us protect this special place. The North Cascade Mountains in Washington State are defined by their majestic beauty—wild forests, wild rivers, and stunning vistas. The jewel of North Puget Sound, the Nooksack River, is the backbone of Bellingham and Whatcom County’s outdoor industry supporting a $705 million-recreation economy that includes hiking, rafting, fishing, climbing, hunting, skiing, mountain biking, backpacking, and kayaking. And the Nooksack is one of a few river systems in our state that provides freshwater habitat for all five species of Pacific salmon, including endangered Chinook salmon, as well as endangered steelhead and bull trout. Sure, I can tell you all about the Nooksack River’s beauty, splendor, and myriad recreation opportunities. 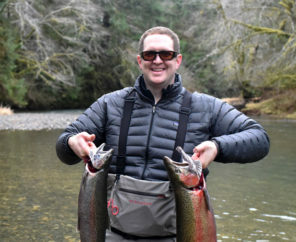 Or describe what it’s like to run a raft through the thrilling Nozzle rapid on the North Fork, hike through the fern forest at Horseshoe Bend, or swing a fly in freezing January rain searching for that one wild, winter steelhead. 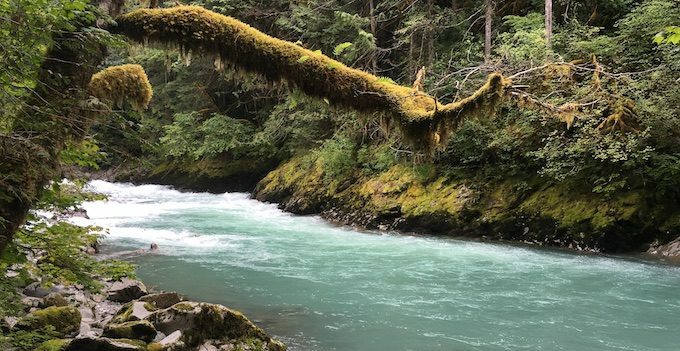 It’s challenging to explain the exact reaches of the 113 river miles and nearly 35,000 acres of riverside land American Rivers is working to permanently protect in the upper Nooksack River system as Wild and Scenic. Sometimes it’s best to just take you there. So aside from an in-person tour of the watershed (contact me if you ever want to go), we’ve put together a Story Map to show the why and the where of the work we’re doing in the Nooksack River basin. As you scroll through the Story Map, you’ll see the river from top to bottom, from the high-gradient, glacially influenced North Fork, where whitewater boating and fishing are the norm to the steep, forested canyon of the Middle Fork where mostly expert kayakers lay claim, to the spring water fed, low gradient South Fork which flows through the agriculture landscape of the communities of Acme and Van Zandt. 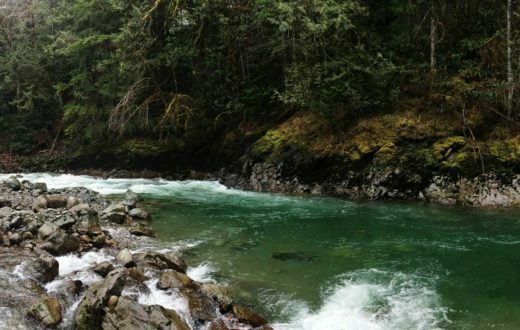 It’s about as close as you can get to the guided tour of the river Nooksack River basin and the natural, cultural, and recreational wonders that make it worth lasting protection under the Wild & Scenic Rivers Act. With such a diverse landscape and the multiple classifications within this potential Wild & Scenic designation, a static map won’t capture the entire story. The Nooksack Basin is a living landscape with diverse stakeholders, communities, and recreation opportunities, each with a particular interest in the basin. The Story Map shows in detail the 113 river miles proposed for Wild & Scenic designation, which include portions of the North, South, and Middle Forks of the river as well as the nine important tributaries. While no technology can ever replace what it feels like to run a raft down the North Fork or swing a fly to willing bull trout, hike through the cedars in the shadow of Mt. 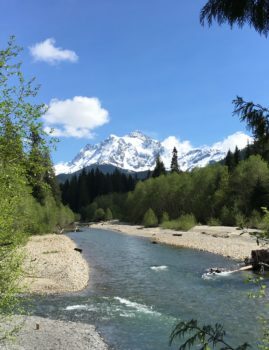 Shuksan, or swim in the cool waters of the South Fork, our hope is that this Story Map shows why the Nooksack River and its tributaries are worthy of lasting protection under the Wild & Scenic Rivers Act. It should answer any questions you might have about specific information for each reach, maybe inspire you to take a river visit, and most importantly compel you to take action and sign our petition in support of our Nooksack Wild & Scenic River campaign. This would be an amazing protection. When I have crossed the Nooksack on a fallen tree from the North side to the South over the raging water, I crossed into​a whole different world. From the head waters of the Price Glacier and the cirque below Ruth and Icy Peaks to the Bay the is one amazing water shed. Great shaping of a story map to involve us in the experience of the river, and use dynamic maps and image to make a compelling and poetic case for landscape protection. 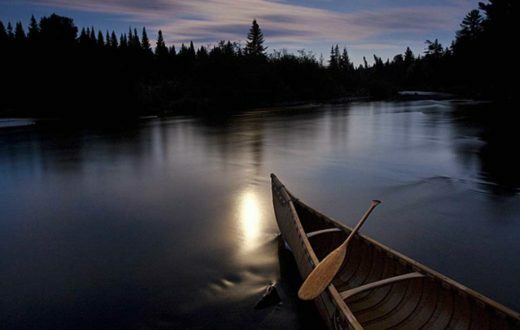 Its immersive narrative works beautifully to place the river before the reader. 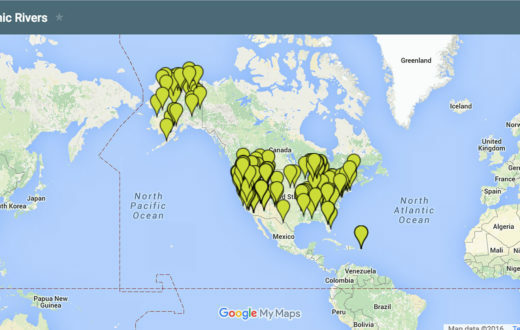 Amazing use of story map tools in testimony of the need for landscape protection! The immersive experience creates a narrative that works beatifully to teach about place and river habitats and use. WoW, what a beautiful place!! I live in Idaho and have Obsessively fly fished all over ID, OR and even the Mo in Ennis Montana… I would LoVe to come out that way and toss some loops with y’all!! Unfortunately I’m currently on disability which is limiting my fishing expenditures quite extensively 🙁 Hope to bounce back soon and get in w/things! Thanks for sharing this amazing piece, I can’t wait to start saving up!! Hope to see y’all soon! !